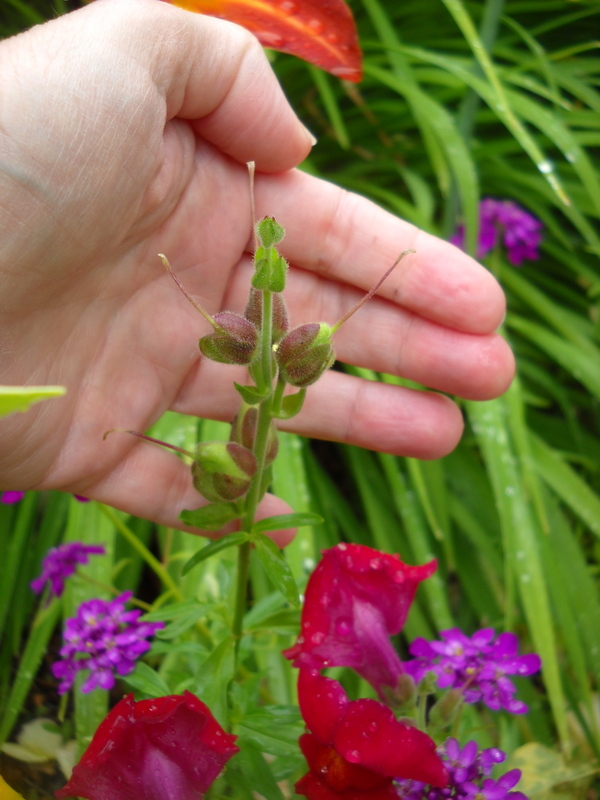 There are some annuals in my garden that I just want more of, or I want to be able to give away to friends, so I make a point of collecting seeds as often as I can. 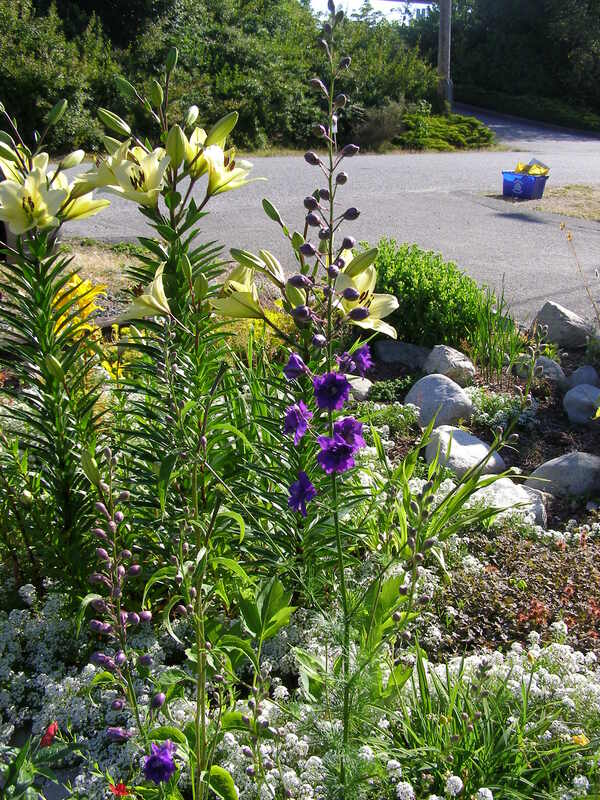 But in many cases here in balmy Metro Vancouver, I don’t have to do the work, the plants do it for me. 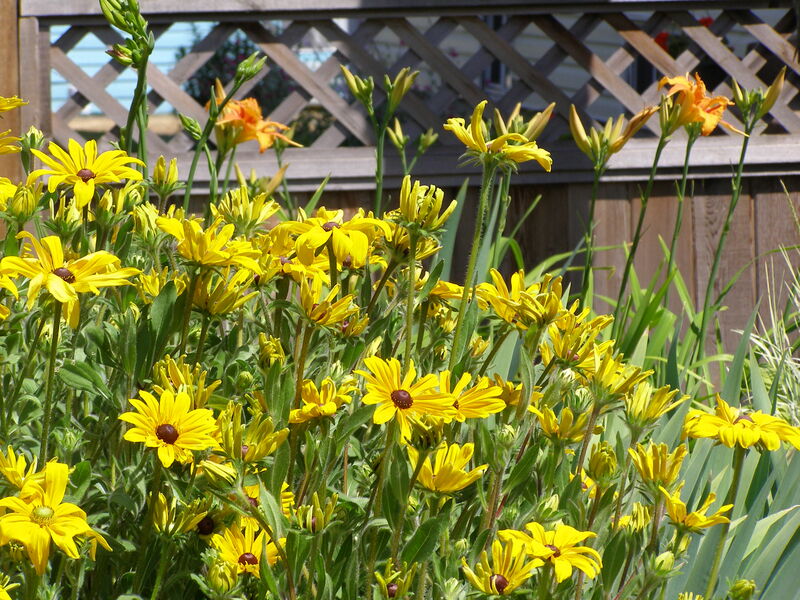 Some annuals and biennials act like perennials. For example Foxglove and Sweet William are biennials, which means they have a two year cycle and then die. After they flower, they set seed, which falls to the ground. 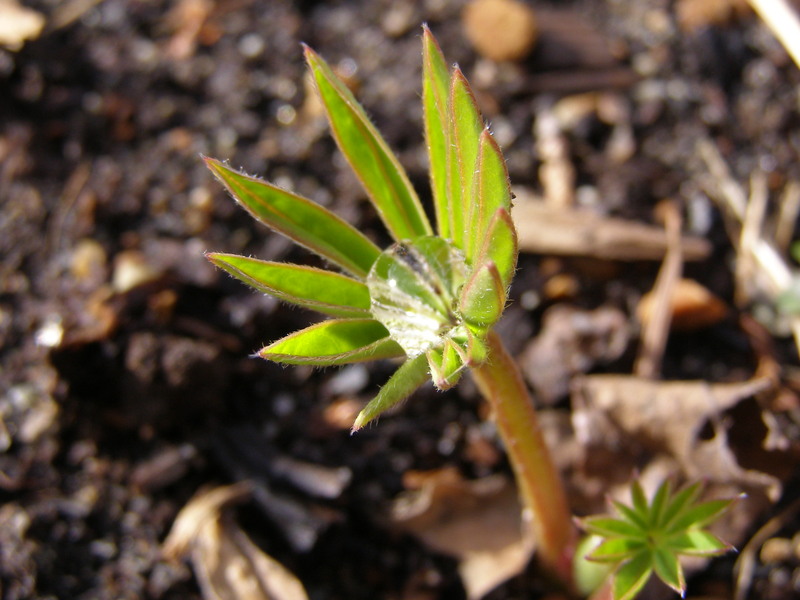 Next spring the seed germinates, and puts on herbaceous (green) growth, goes dormant in the fall. The second growing year puts on floriferous (flowering) growth. Then sets seed and dies. If the weather is favourable, and if they fall early enough, they may set seed, fall, germinate and start their first year of growth the same summer, then produce flowers the next year, their second year. So you had flowers this year, and you’ll have flowers next year. Biennials, but they act like perennials. Foxglove setting seed, still completely green, these won’t be ready for at least another month. Then there’s snapdragons or larkspur. They’re annuals, but they set seed so well, and disperse if so effectively, they’ll grow more next year close by, and probably grow more than you had this year. 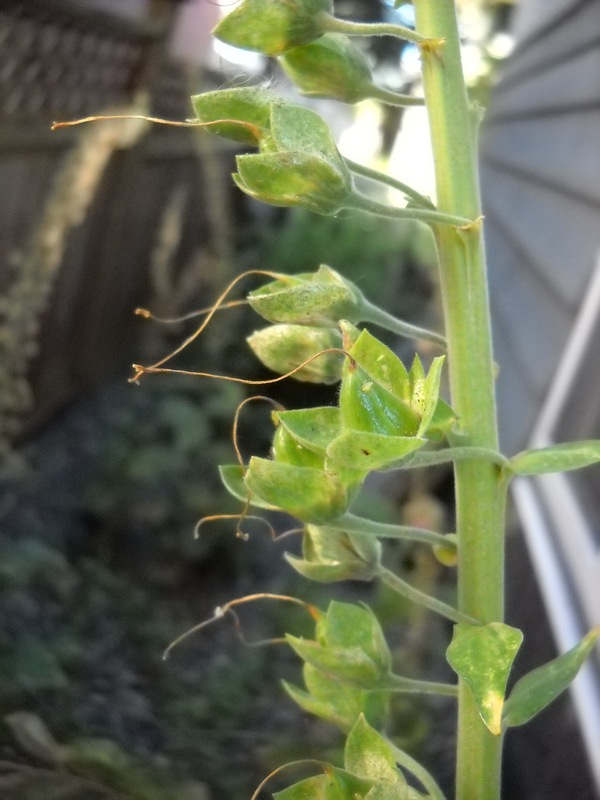 Snapdragon seed heads, not ripe yet. 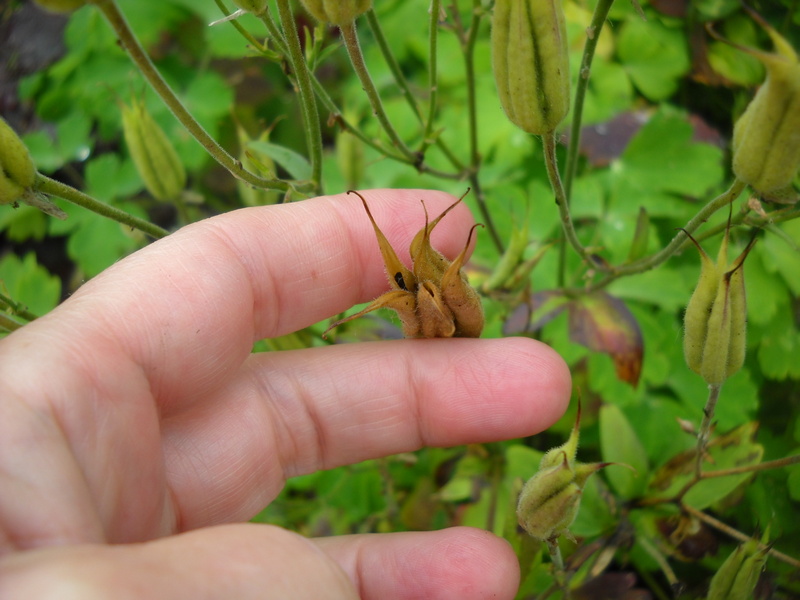 Columbine seed head open, and black seeds visible. If you want to be sure to increase your stock, collect the seeds yourself, so you’ll get them before the chickadees do. You can either sow them right away, or save them in an airtight envelope in a cool place (fridge would do, not freezer) over the winter and sow in spring. 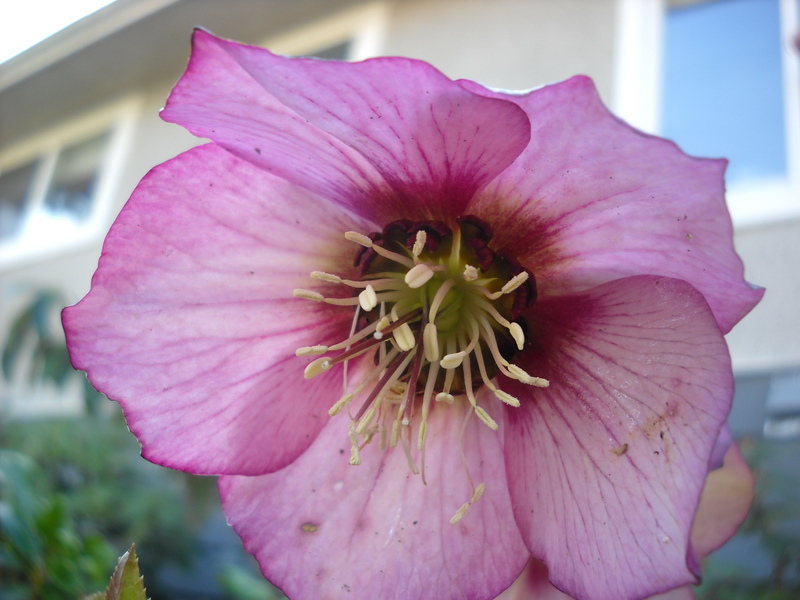 You can even “winter sow” them–in containers, left outside in a secure area away form the racoons and the strong winter winds– and see them come up all nice and safe and prolific in the spring. Want help figuring out how to collect seeds, or what to do with them once you do? Post a comment or question. Follow this blog to get more, or follow our Facebook page. When I posted 6 Tips for Container Gardens, I neglected to mention one of the most important considerations: Annuals or Perennials. For some reason, many people are intimidated by perennials. Do they seem to be more work? Is there a fear they won’t come back? Are they too expensive? Is there not enough all-season flowering? Here’s a very basic primer on plant longevity. Pardon the price tag that I couldn’t get off the bulb package! …are an unusual group of plants that grow lots of leaves the first year they germinate, then die back over the winter, and in their second year they make flowers, set seed, drop their seeds all over the place, and then die. And because they drop their seeds all over the place, there will always be new first year plants. 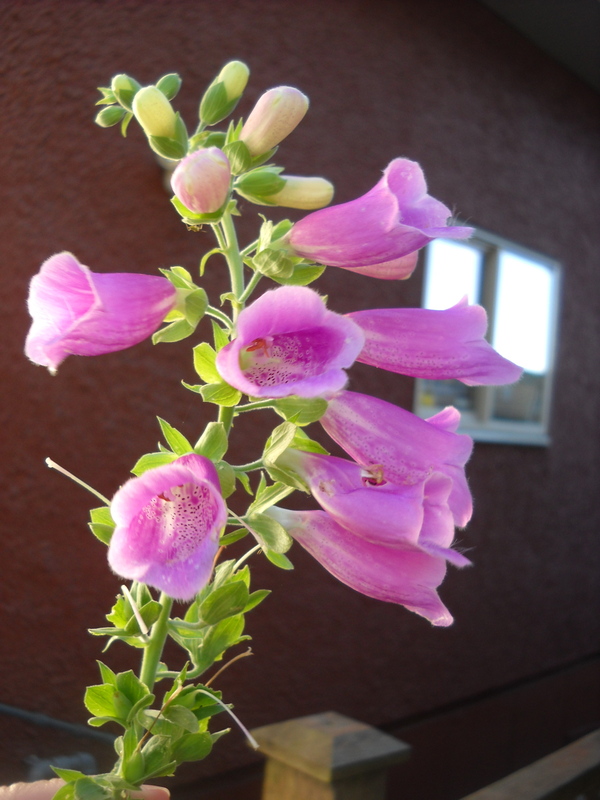 Hollyhocks, foxglove, forget-me-nots are all biennials. 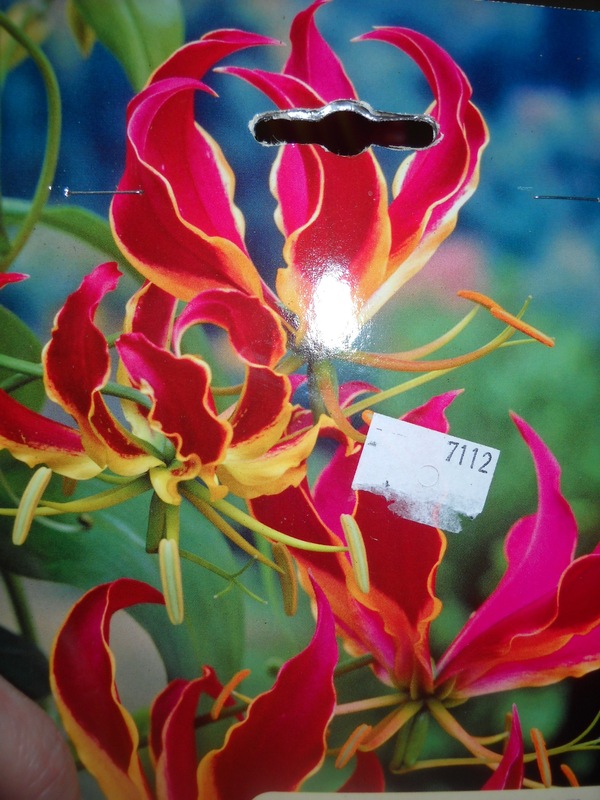 …these are plants that are hardy in your area–wherever “your area” is. If a plant comes back every year for more than two years, it’s a perennial. Annuals are very hungry and very thirsty, no matter where they’re planted. Perennials much less so, but will still need more feeding and watering in containers than planted in the ground. Annuals’ chief advantage is that in general (hence the “generalizations” in the heading), they flower most of your summer season. Some will find the heat of summer more than they can take and languish until it cools down in later August, but they will pick up again as the nights cool down. 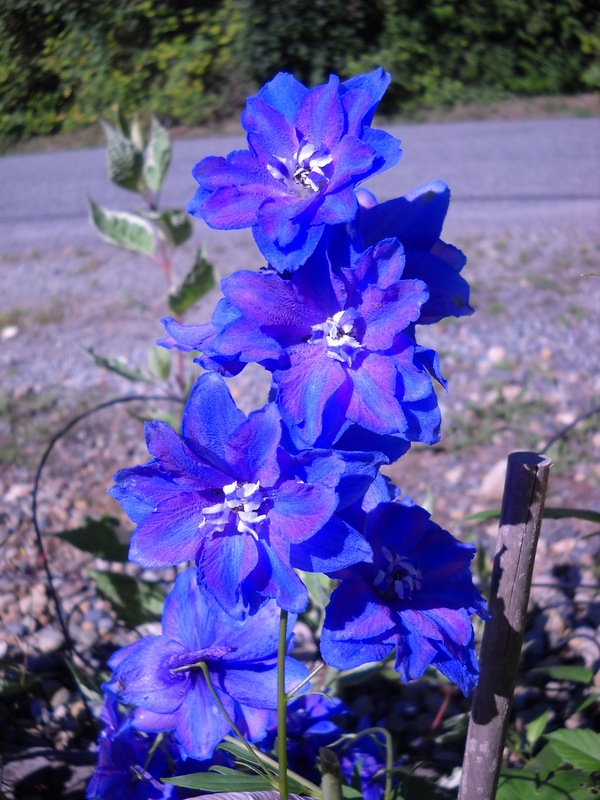 Delphinium is one of those. 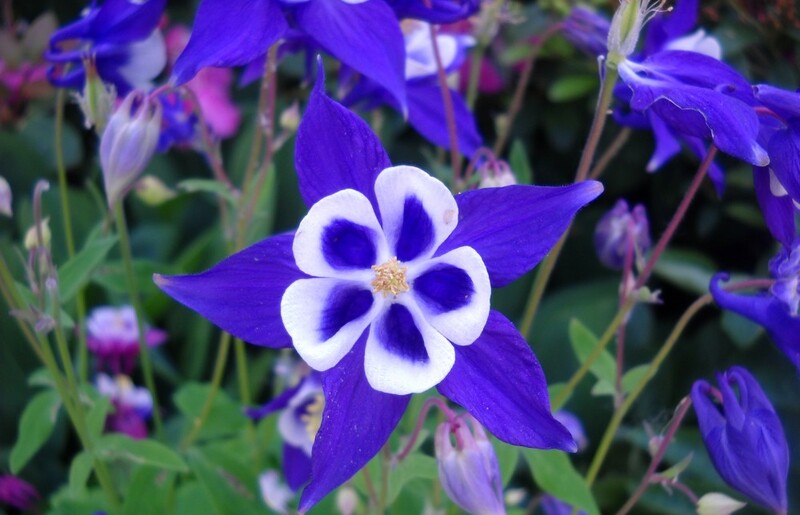 Perennials in general have a shorter flowering season, but have a lot more foliage interest than most annuals. (Exception is the coleus I mentioned in the last post–Ahhh, the beautiful coleus…) And some perennials’ shorter flowering season is still really long, like the Black Eyed Susan, Rudbeckia. Blooms for at least 5-6 weeks. Perennials are more expensive, but it’s a several year investment, since they’ll come back at least two more years, as long as you treat them right. So are you an instant gratification kind of person, or does the idea of seeing a favourite plant that “died off” last Fall resurrect in the Spring fill you with delight? Let me know! Leave a comment here, or share to Facebook. And definitely let me know if you need help to create your masterpiece.